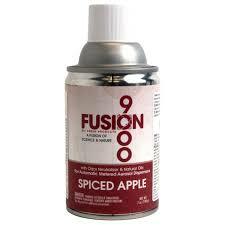 Fusion products contain Ordenone, a compound designed to encapsulate odor-causing bacteria and eliminate it while the natural oils provide an enjoyable fragrance. 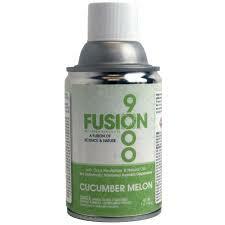 The Fusion 9000 lasts for a full 9000 sprays reducing the amount of time and energy used to replace the refill. 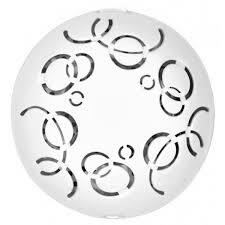 Each spray is made up of unique small particle sizes that float in the air longer. The metered aerosol cabinet offers several programming options to ensure it meets the needs of many different spaces. 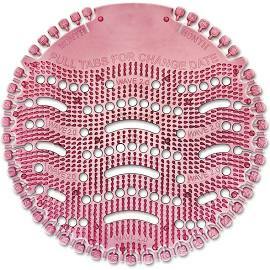 It has 3 interval settings as well as day, night, and 24-hour programs.